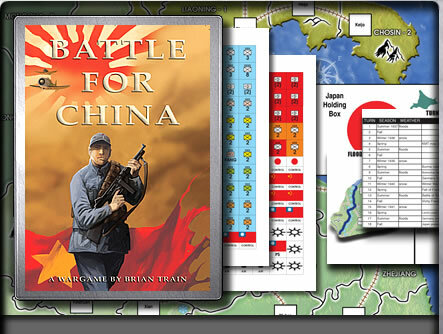 BATTLE FOR CHINA is a boardgame simulation of the "War of Resistance Against Japan" from the initial Japanese invasion in July, 1937, to the end of 941. The game is meant for two players, one directing the military forces acting to defend China against the Japanese invader (the Chinese player), and the other directing the forces of Imperial Japan (the Japanese player). The game can be played with a third player, who controls the Chinese Communist forces.